Thank you to our 2010 Bluebonnet Rescue Horse Training Challenge Judges: Rita Andrews, Jere Johnson, Erin Pilosi and Becky Strassner. Thank you to One Sleeve Robe Pest Sitting of San Marcos, Texas for sponsoring the 2010 Bluebonnet Rescue Horse Training Challenge. Thank you to our 2009 Bluebonnet Rescue Training Challenge Judge Becky Strassner. You can visit her website at www.naturalhorseway.com. Thanks also to Kathy and Kaylon Sullens who also served as judges. We're looking for judges for the 2011 Bluebonnet Rescue Horse Training Challenge. email Jenn for more information. The 2011 Bluebonnet Rescue Horse Training Challenge has begun. You can still enter the Challenge if you do not mind having less time in which to work with your Challenge Horse. We would love to have you! The Bluebonnet Rescue Horse Training Challenge is a competition in which volunteer foster homes and professional trainers work with a Bluebonnet Equine Humane Society foster horse for three months (starting in mid July 2011) and will compete in the Challenge at the 2011 Bluebonnet Horse Expo on October 22, 2011. The competition is open to any BEHS member who applies to foster and is approved, as well as professional trainers whose property is inspected and approved. If you are not currently an approved foster home or BEHS member, join the rescue and download a fostering application and we�ll get you set up to go. The Bluebonnet Fostering Coordinator and the Challenge organizers will select a pool of eligible horses. Participants will apply to compete in the Challenge by July 1, 2011 and will be able to list their top three choices of a horse to work with. BEHS foster homes may compete with a foster already in their possession as long as no professional trainers have handled the horse in the six months preceding the Challenge Competition (held on October 22 at the Bluebonnet Horse Expo in Austin, Texas). If you wish to compete with a foster horse already in your possession, note that on your application. Horses will be assigned on a �first come, first served� basis. Each participant will be responsible for picking up his or her horse from its foster home between July 1 and July 15, 2011. Each eligible horse will come with a current, negative Coggins and have current vaccinations. His/her previous foster home will also complete an evaluation sheet assessing the horse�s abilities and training to the best of the foster home�s ability. When the participant picks up his/her horse, he/she will have one week to turn in an evaluation worksheet to the Challenge organizers. He/she will have up until the competition on October 22, 2011 to work with the horse. Youth � participants 17 and under as of January 1, 2011. If a foster home chooses, he/she may pay training fees to a professional trainer for a Challenge-eligible horse. That horse and trainer will then compete in the professional trainer category. Horses in the professional trainer division will compete under saddle. All other divisions will compete in either an under saddle subcategory or an in-hand subcategory. At the Challenge, all horses will compete over an obstacle course and will be allowed an additional 10 minutes for a freestyle presentation. This may include tricks, presentation of �before and after� history, etc. Scores will be tabulated. The highest two scoring horse/trainer combinations in each division will be named Champion and Reserve Champion for their division. The division Champions and Reserve Champions will then do another 10 minute presentation, after which the Grand Champion and Reserve Grand Champion will be chosen. The horses who participate in the Challenge will not be available for adoption until the end of the Challenge. All horses will go up for Adoption the day of the contest. Horses who are not broke to ride will be offered for adoption for $300. Horses who are broke to ride will be offered for adoption for $750. Pre-approved adopters may adopt and take home the horse after the Challenge. If more than one pre-approved adopter wishes to adopt the same horse, they may bid up the adoption fee and the highest bidder will adopt the horse. Adoption applications will also be accepted the day of the Challenge but those adopters will not be allowed to adopt until their property is inspected and approved. All participants must be professional trainers or current members of Bluebonnet Equine Humane Society in good standing. All foster homes who compete must sign a contract stating that they agree to foster the horse for three months after the Challenge is complete (unless he/she is adopted beforehand) or forfeit their winnings. This rule does not apply to professional trainers. If you prefer, we will make arrangements to transfer your horse into a foster home after the Challenge is completed if he/she is not adopted. Competitors will be responsible for the cost of feeding their horse, shavings/bedding, and farrier work during the Challenge and the foster period after the Challenge. Bluebonnet Equine Humane Society will reimburse $10 of every farrier visit, paste de-wormers, pre-approved veterinary care, and pre-approved corrective farrier work and medications. There must be at least two people signed up per division in order for that division to be offered. Prize amounts may change as Bluebonnet receives additional sponsorship money for the Challenge. The Bluebonnet Rescue Horse Training Challenge is put on by Bluebonnet Equine Humane Society, 501(c)(3) organization dedicated to improving the lives of horses and other equines by educating and helping owners, assisting law enforcement agencies, rehabilitating abused horses and placing them into safe, permanent homes. The goal of the Training Challenge is to help get training for the horses of Bluebonnet Equine Humane Society to make them more adoptable � but it is also to show the world that rescue horses can do anything �regular� horses can do. We�re inviting you to become a Bluebonnet Rescue Horse Training Challenge Sponsor by either donating goods or money to the program. Sponsors enable us to put on the best possible Rescue Horse Training Challenge, awarding greater prizes and attracting more participants and helping more horses gain the skills they need to find forever homes. Download a sponsorship form, fill it out and send it in..
More horses will be added as they're assigned. Horses who are competing will be listed once they're assigned. This list will be updated frequently. As horses are adopted, they'll be removed from the list. As new horses come into the rescue, they'll be added. Once horse assignments are made, each participant will have the option of leaving his/her horse up for adoption or removing him/her from the available list until after the competition. Yearlings and weanlings who are listed are not eligible to compete under saddle or compete in the professional category. We're seeking equine professionals and experience amateurs who are interested in donating their time to be judges for the 2011 Bluebonnet Rescue Horse Training Challenge. Contact Jenn for more info. Leslie Sawyer, who was Reserve Champion two years in a row in the Bluebonnet Rescue Horse Training Challenge has agreed to be a judge for the 2011 Bluebonnet Rescue Horse Training Challenge. We are still looking for more judges. Leslie Sawyer is a life-long horseman from Troy, Texas who has been involved in just about every discipline in the horse industry. She began riding western as a small child and began taking English lessons at a local stable to improve her horsemanship. She quickly fell in love with hunter/jumpers and began riding and showing hunters full time. Leslie was scouted by the United States Equestrian Team to ride at the Junior Olympics, but did not meet the minimum age requirement and was unable to compete. After several years, Leslie's interest changed back to western performance horses and she began riding and showing in AQHA all-around events. She qualified to represent Texas at the AQHA Youth World in western pleasure, earned an Open Superior Award and was the Texas Quarter Horse Youth Association Year in High Point in Western Pleasure in 1999. After searching for just the right horse, she purchased a black tobiano gelding in 2001 and began showing in reining. She won several World Championship titles, top fives and top tens, in both the American Paint Horse Association and Pinto Horse Association. After the sudden loss of her reining horse in an accident in 2009, Leslie became involved in BEHS through the Rescue Training Challenge. She felt that giving back and helping another horse gain useful skills to find his forever home would help keep her busy and work through the loss of her own horse. The time in the arena paid off for both Leslie and her foster horse! Maximus, AKA "Max", won the Novice Foster Division Championship in 2009 and 2010 and was the Over All Reserve Grand Champion both years. At the 2010 Expo Max met his new family and in November of 2010 went to live at his forever home. Participants will be added as they enter the Challenge. All horses will go up for Adoption the day of the contest. Horses who are not broke to ride will be offered for adoption for $300. 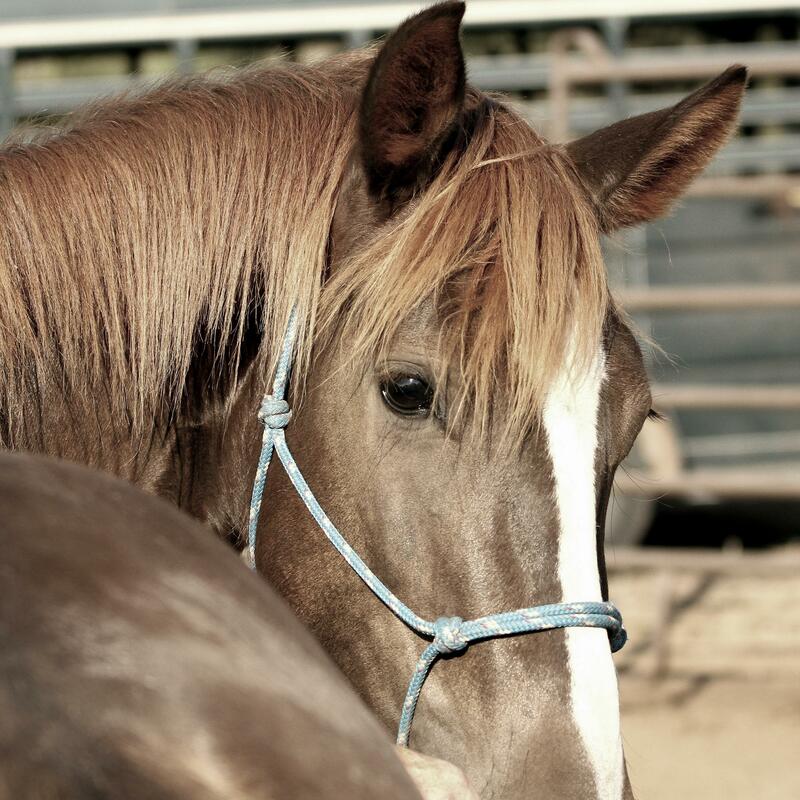 Horses who are broke to ride will be offered for adoption for $750. Pre-approved adopters may adopt and take home the horse after the Challenge. If more than one pre-approved adopter wishes to adopt the same horse, they may bid up the adoption fee and the highest bidder will adopt the horse. Adoption applications will also be accepted the day of the Challenge but those adopters will not be allowed to adopt until their property is inspected and approved. If you would like to be pre-approved to adopt a horse from the Bluebonnet Rescue Horse Training Challenge, please ">download an application. Complete it and send it in by October 1, 2011 to be approved in time to adopt the day of the Challenge. The scheduled will be posted closer to the date of the 2011 Bluebonnet Rescue Horse Training Challenge. Sponsors of the Bluebonnet Rescue Horse Training Challenge will be added as they are received.